Hjem » SlingshotSports » Foil » Sup Foil » OUTWIT 7`6"
A versatile SUP foil board for small to medium waves, rolling swell and open-ocean downwind runs. 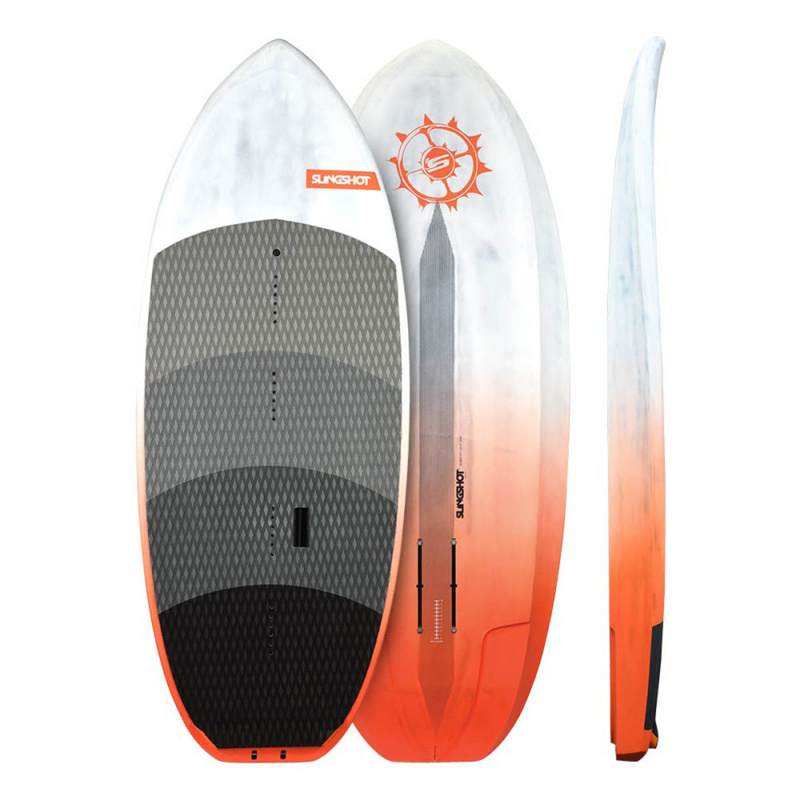 The Outwit’s short, narrow, high-volume profile is designed to make getting up to speed and catching waves as easy as possible, while remaining agile, playful and pumpable once you’re on-foil and cruising. + Super buoyant for its length, keeps board compact and agile once you’re foiling. + Sculpted bottom contour helps with early takeoff, prevents “sticking” when you touch down.